No one is more passionately in-love with being in-love than the Italians. In fact, in Italy, they have a celebration called “La Festa Degli Innamorati” or Feast of Lovers, which lasts for four days to a month and is strictly celebrated between couples, where they exchange flowers, love notes, romantic candlelit dinners and delicious chocolates. This Love Month, Villa Del Conte shares the Italian tradition of La Festa Degli Innamorati with their Amore Gift Collection of creative, rich and authentic Italian chocolates masterfully handcrafted from Padova, Italy. 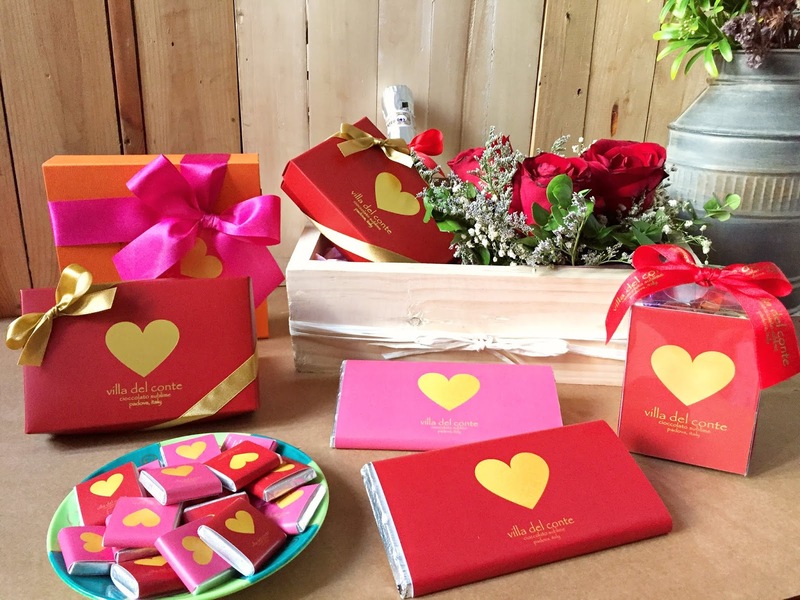 You can choose from Villa Del Conte Amore Chocolate Gift Box that contains 115 grams of rich assorted pralines; Amore 5g square with 50% dark chocolate; Amore 100g chocolate bar; or Amore Crate Gift Set. The Amore 100g chocolate bar is available in two flavors: dark chocolate with crunchy toffee and sea salt, and milk chocolate with hazelnut chips. Meanwhile, the Amore Crate Gift is a romantic combination of decadent Villa Del Conte chocolates, fresh roses and fragrant wine on a rustic wooden crate. Visit Villa del Conte stores in Greenbelt 5, SM Megamall, and Robinsons Magnolia. For bulk orders and to know more about Villa Del Conte’s indulgent creations, contact 893-2575, visit www.villadelcontecioccolato.com, or follow them on Facebook and Instagram: @VillaDelContePh and on Twitter: @villadelconte.